Amazon is well known for a variety of services and products, but did you know that you can send in used items directly to them and they will give you Amazon credits in return? You don’t have to deal with buyers and don’t have to create a posting, either. It’s as simple as filling out a quick form, shipping to Amazon and waiting for the Amazon gift card to post to your account. While you can personally sell items on Amazon, just like eBay, I’m not talking about that here. Instead, I’m going to focus on the trade-in program only. But, like anything, before you consider sending your items in, you really have to ask yourself if it’s really worth it. 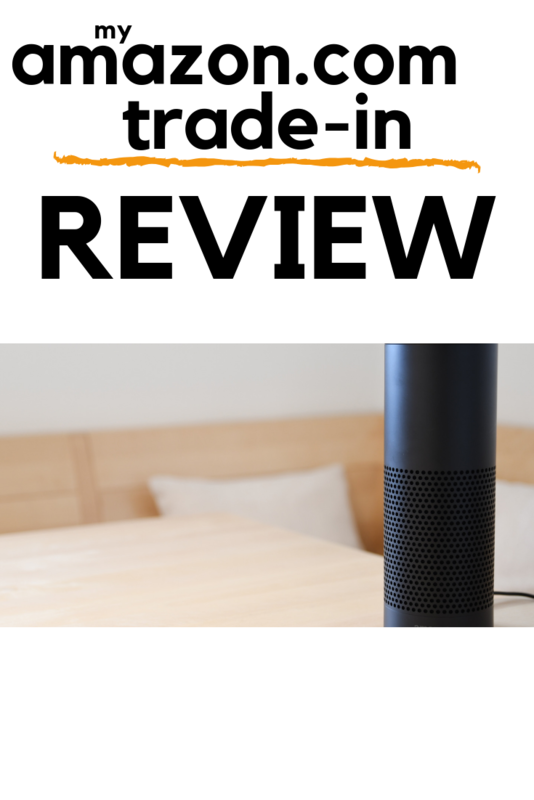 So, in today’s post, I’m going to dig deep and show you how the trade-in program worked for me and if I feel it’s worth considering. As always, my reviews are 110% honest and bias-free. First of all, you have to realize that Amazon won’t accept everything. Sorry! 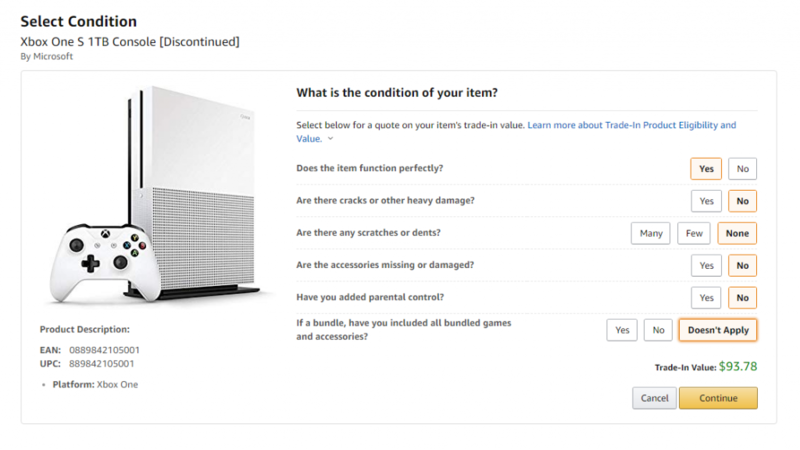 As there are restrictions, Amazon will generally accept the following items and will attempt to give you a trade-in quote as long as it meets their criteria. I will get into this later. Generally, as long as it’s in good condition and in working order, you shouldn’t have a problem. You will be able to use the company’s official search to see what they do accept. To start trading in your item/s, it’s extremely easy. Head to this link, click on the category or search if you’re unsure where to start. You can use the search tool if you click on the “find more items” button. 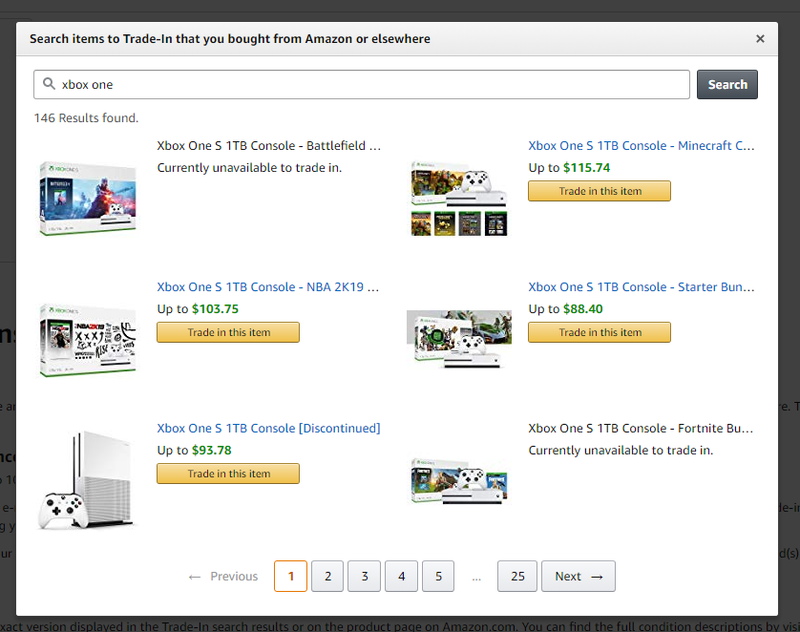 In my example, I’m going to see what I could get for my Xbox One if I wanted to trade it into Amazon. And, to make things easier, I will click on that “find more items” so that I can search and find exactly what I’m looking for. 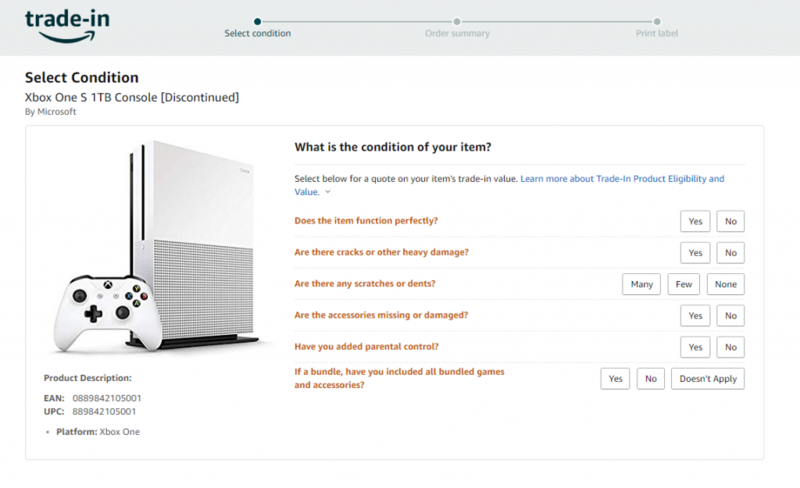 Find the item you’re looking to sell and click on the “Trade in this item” button to start the process. Now, it’s so important that you find the exact model to avoid any problems in the future. You can search by UPC if you want to be certain, but if you’re unsure, the next screen will have a UPC and model numbers so that you can confirm. Failing to do so can lead to rejection or a much lower offer. Just be warned! I can’t stress this enough. As you can see, Amazon is going to ask you a variety of questions. And usually, these questions are the same across the board but can be slightly different for some items. For example, you can’t set parental controls for a book, so, of course, that question won’t be there. Amazon just wants to make sure your item is in good enough condition so that they can turn around and sell it. Remember, they have to make a profit, too. If it isn’t, then they will more than likely say they are not interested and you won’t be able to proceed. It’s very important that you’re honest here because Amazon will manually review your item and will definitely send it back if you lied. Don’t do it! As you can see, Amazon offered me $93.78 in Amazon gift card credits, but is this really a good deal? If you wanted to sell it on your own, 99.9% of the time, you will always get more money. Just glancing at the eBay most recently sold Xbox One consoles, for instance, I could see that most people were getting at least $170, double of what Amazon was offering. To me, it would be worth my time to sell it on my own. But, if you don’t want to sell to the public, that’s fine. I get it. Personally, I always recommend you at least compare a few other competitors to ensure you’re getting a good deal. 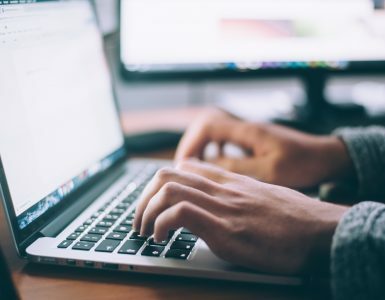 And, yes, there are a variety of competitors that will offer you a quote on the spot, just like Amazon, simply meaning you don’t have to sell to the public on your own. Like Amazon, all of these companies will have their own restrictions, so it will greatly depend on what you’re looking to sell. Right away, I could see that my top choice would be decluttr. They work in the same way as Amazon, offering you cash after they confirm your shipment. So, not only would I get cash, I could get almost $20~ more. Probably worth it to me. Now, this won’t always be the case, but I just wanted to show you that Amazon isn’t always the best deal in town. As you can see, some items will pay you instantly, meaning you can shop right now and won’t have to wait for your money to post weeks later. This is huge if you want to buy something right now. If choosing the instant payment option, however, just be certain Amazon will accept your items because if they don’t, your credit card on file will be charged if you spend that credit. Again, as long as your honest about the condition, there’s no reason you will have any troubles. Even if there’s a problem, Amazon will ship the item back to you at no charge. 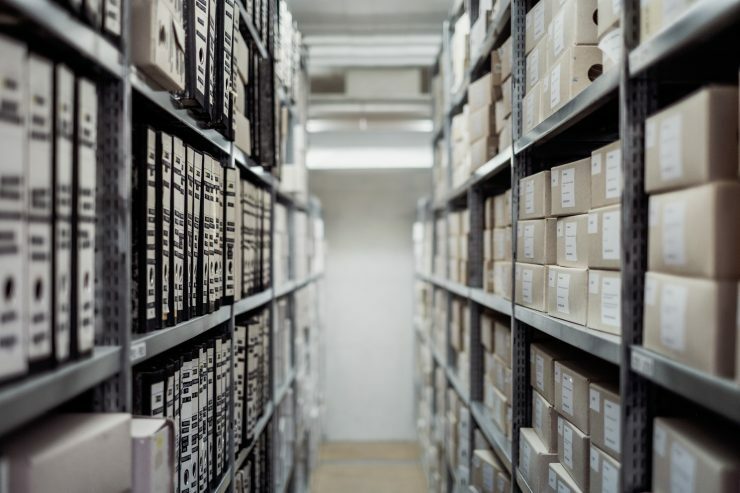 Confirm your trade-in, print out the free shipping label Amazon provides you and drop it off at either a UPS Store or an authorized drop offer near you. To find one, confirmed drop off, you can do so here. After you confirm, just make sure you pay close attention to the shipment deadline to avoid a charged. If you don’t ship your item in time, then Amazon will charge your credit card on file for the gift card balance you spent. In all of my reviews, I always attempt to include what others are saying as well. Scouring the internet, I did find some complaints, some as far as calling it a scam. This Reddit user, for example, stated that his iPhone that he sent into Amazon was working before shipping it in. However, after receiving it, Amazon said it was damaged and wanted to downgrade their trade-in offer. 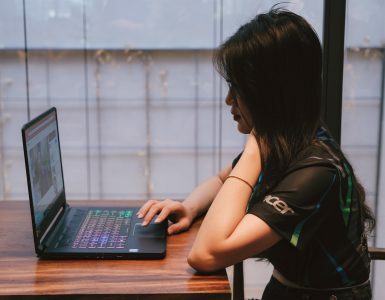 After countless talks, the trade-in was confirmed, but Amazon eventually refunded the balance with “complimentary refunds.” On that same thread, a few people chimed in and said they had the same experience as well. This seemed to be quite common across the board. One of the biggest complaints, at least from what I read, is that Amazon often flat out denies your trade-in or they may downgrade your initial trade-in value, offering you even less than what they offered in the first place. If Amazon does decide to downgrade your value, you don’t have to accept it. Keep that in mind. In many cases, if you find out they do, indeed, decrease your offer, I would recommend asking for a return and re-exploring your options. Just let it be known that, in some cases, you may be surprised that Amazon will deny your device, even if you were 100% honest in your description. This seemed to be a very common complaint online. 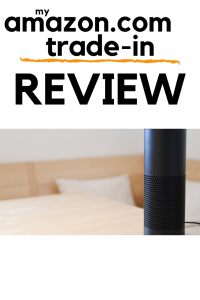 Without a doubt, the Amazon Trade-in program is one of the fastest ways to get paid fast. In some cases, instantly. It’s not going to be the best way, but it’s a legitimate way that gets you paid one way or another. Sure, while you won’t get cash, an Amazon gift card is almost as good as it since they sell virtually anything you can think of. If you want to sell an item instantly and don’t want to deal with the hassle of selling on your own, then I would highly recommend you at least check out the Amazon trade-in program. Just remember, however, that you should always at least check out the competitors to ensure that you’re getting the best bang for your buck as Amazon isn’t always the best value. 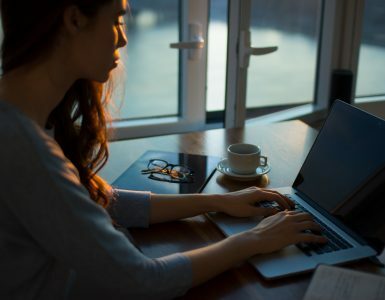 In the end, it’s hard to beat Amazon’s customer service as they almost always bend over backward to ensure you’re happy, so even if you find a competitor barely beating the price, you may want to simply choose Amazon just based on the fact that you know customer service will be able to help in case something goes wrong. But, if the competitor is $50 or even $100 more, then it could make sense to choose someone else. In the meantime, if you have used Amazon’s trade-in program and/or simply want to vent, as always, you’re more than welcome to leave your thoughts in the comments below. For now, gather your items, see what Amazon is willing to offer and decide if it’s worth sending in. Best of luck!